Before I went and got my hair cut, I spent plenty of time doing some homework to make sure that I was making the right change with my hair. I came across this really fun online tool where you can give yourself a Celebrity Makeover! 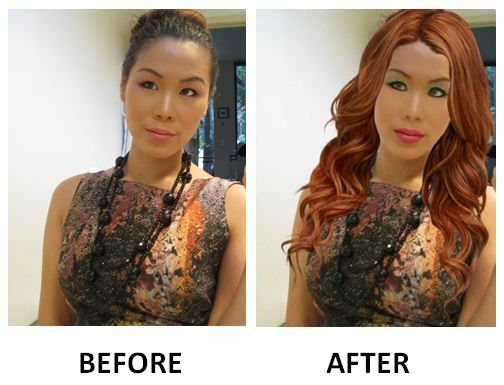 I tried using the In Style‘s Celebrity Makeover Online Tool which allows you to upload a photo of yourself and try any hair style with custom hair colour, high/low lights, and even give your face a digital cosmetic MAKEOVER! Have a look see at the ridiculous makeover I gave myself in the Before and After shot to see what this online tool is capable of. I posted all the different celebrity looks I tried. I’ve of course settled on “Jessica Beil” if you check my last post “Bang-On!”, but below are all the hairstyles that I considered. 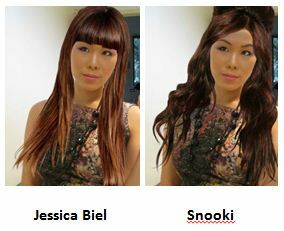 Note: Snooki Hairdo is just for fun!